One motorist has described as âridiculousâ, âinconsiderateâ and âselfishâ, the removal of a metal grate from over a drain that runs across the Mesopotamia bypass road. 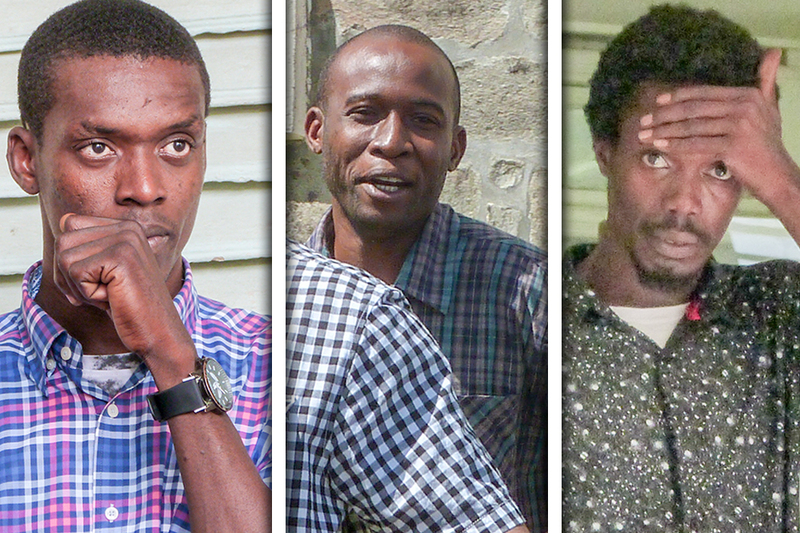 In a voice note sent to SEARCHLIGHT, the Mesopotamia resident, who requested anonymity, said she discovered the grate was missing while travelling to Kingstown on Wednesday morning. It wasnât too long, however, before she came face to face with danger. The motorist said her vehicle and several others whose drivers did not notice the missing grate fell into the deep drain. âNeighbours had to come out to help other people to not drop in the same ditch by placing a small piece of rail [over the ditch] so one wheel could go over,â the annoyed woman said. She pointed out that the ditch is so deep, if a vehicle drops into it, a small child who is not buckled in could sustain neck injuries and vehicles could also be damaged. She called for the grate to be replaced because the road is impassable without it. The motorist said residents have been complaining about the road, which came into use as a major bypass road about four years ago when part of the main highway was destroyed by a landslide on September 2, 2013.
âThe road is so congested at times; itâs noisy and the road is in a very bad condition,â she said. Admitting that the road had recently been repaired and is not as bad as it was in the past, she said she does not know if the grate was removed as a form of protest. The outspoken Mesopotamia resident said if that is the case, there are other ways to show oneâs annoyance, like writing a sign or discussing the issue in the neighbourhood to decide on how to protest. âIf you are protesting down town, keep it down town. Itâs not a political issue; it is just a people issue,â she declared. 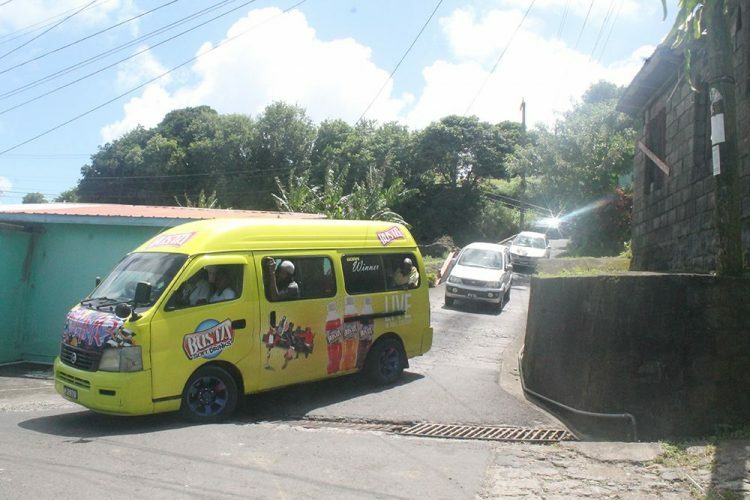 The motorist advised that because the road is only wide enough for one vehicle, motorists at the top or bottom of the hill need to honk their horns to alert other drivers. âBecause you cannot see coming up or down. Let the person pass and come up instead of jamming up all together and thereâs a road block,â she suggested. She said signs saying âSlow Downâ, âCheck for Carsâ or âBeep Horns and Waitâ might make passage along that road less hazardous. When SEARCHLIGHT visited the area on Wednesday, an angry minibus operator said at about 5 that morning, he had to place the smaller grate over the drain so that his minibus could make it over the ditch. âIs me have to move the next small one down dey and put it dey fuh drive over,â he declared. He noted that the removal of the grate affected his travels that morning. One homeowner, who goes by the name âYam,â told SEARCHLIGHT that he noticed the missing grate when he went to take his garbage out. He said the grates were found around 10 a.m. that day in the bush, just adjacent to the road. He stated that he and another villager had to direct the traffic and alert motorists of the obstruction.